Today’s talent is another amazing individual, i mean i only bring amazing people to you guys though so yeah. 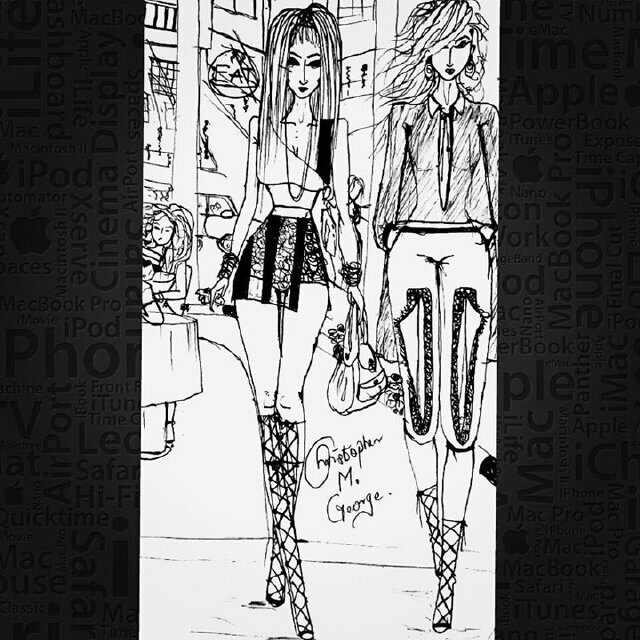 He’s a fashion illustrator and he’s damn good!! 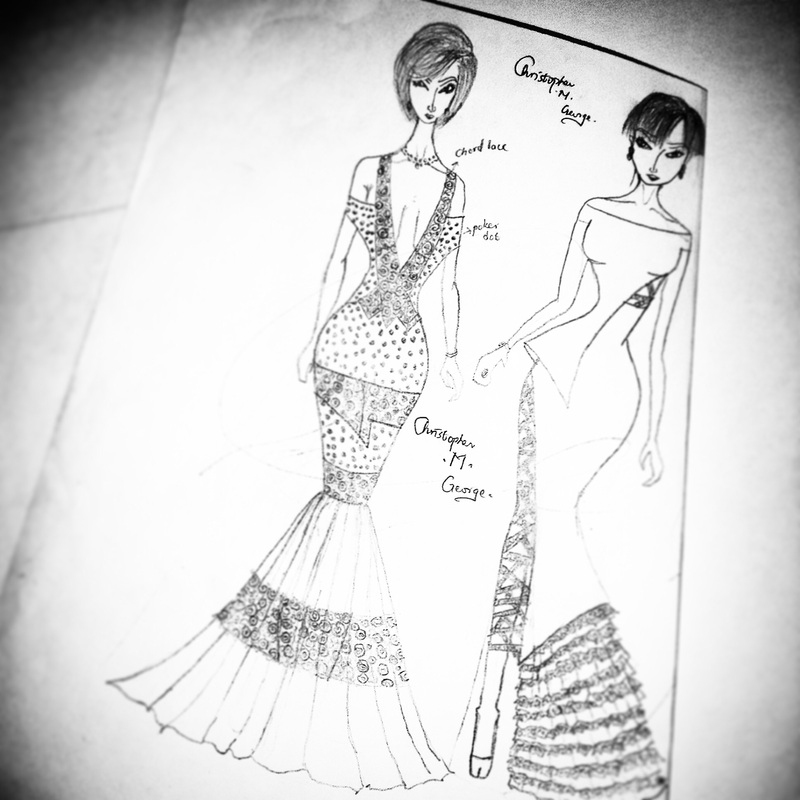 His work motivates me to do better with my ohh-so-average sketches. I’m good at the body part/clothes…but the face, the freaking face…I’m like 0.2! But his faces slay like whutt?! OK I’ll just allow the pictures do the talking. Let’s meet him shall we? My name is Moyosoreoluwa Christopher Okon-Udiminue. Born 17 years ago on children’s day. My brand name is “Christopher M. George” which originated from my own names. A fresh high school graduate about to enter the University. Apart from illustrating I write, sing and I love being homely with people. 2. Your little begginings + motivation? 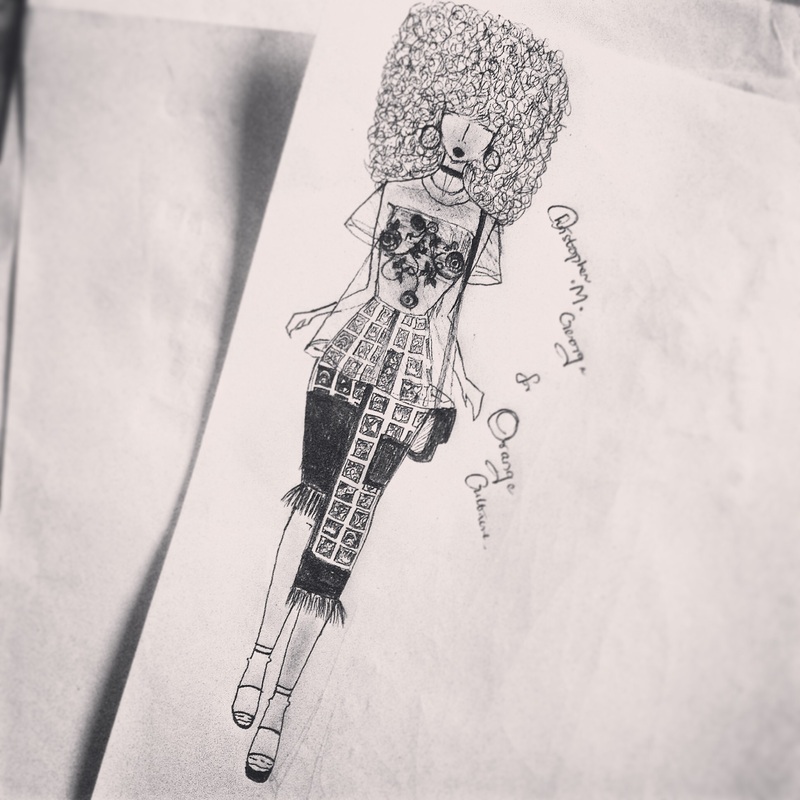 I started my career officially early last year with a new fashion brand called “Cece’miye” with the job of an assistant creative director and fashion illustrator. My motivation for this career has always been my age. It’s a very huge driving force for me not only in my fashion career but in other things, because it always hits me when older people say “I wish I were 20 years younger”, anytime I hear that I hope i never to have to say that 20 years later. So I try to make the best out of myself now. 3. So are we talking natural talent or it was learnt? All the way natural ! My mum said at 3 ,I was always drawing on the walls of her room and she’ll be so mad and then clean them off, like you cant just leave me with an empty sheet of paper and pen or whatever, I drew on everything that came my way, there was a time my mum placed a ban on my drawings but it just didn’t stop , she gave up eventually and kept supporting , in secondary school? ,everyone knew moyosore’s desk , even up to my note covers , You can never mix it up , it had sooo many drawings and illustrations, although it was as a result of boring classes or conversations I’m not paying attention too, so yes it very natural and I thank God for it. 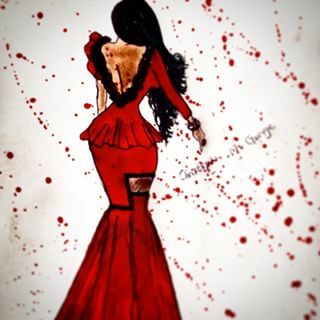 I’m a huge fan of Hayden Williams, not because he’s insanely good but because he being young is really inspiring to me. 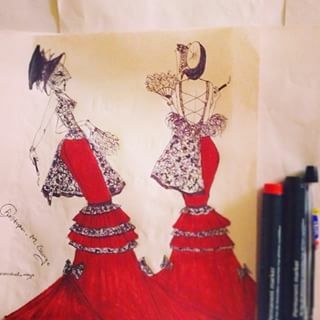 Other designers I look up too are Adebayo Oke Lawal; he’s so amazing! ,Sisiano , IAMISIGO, Moofa, Meena, Mai Atafo, McMeka, April by kunbi, T.I Nathan, Josh Sammuels , Lanre DaSilva Ajayi , Maxivive , Toochi Ugoala, Jide Reason. 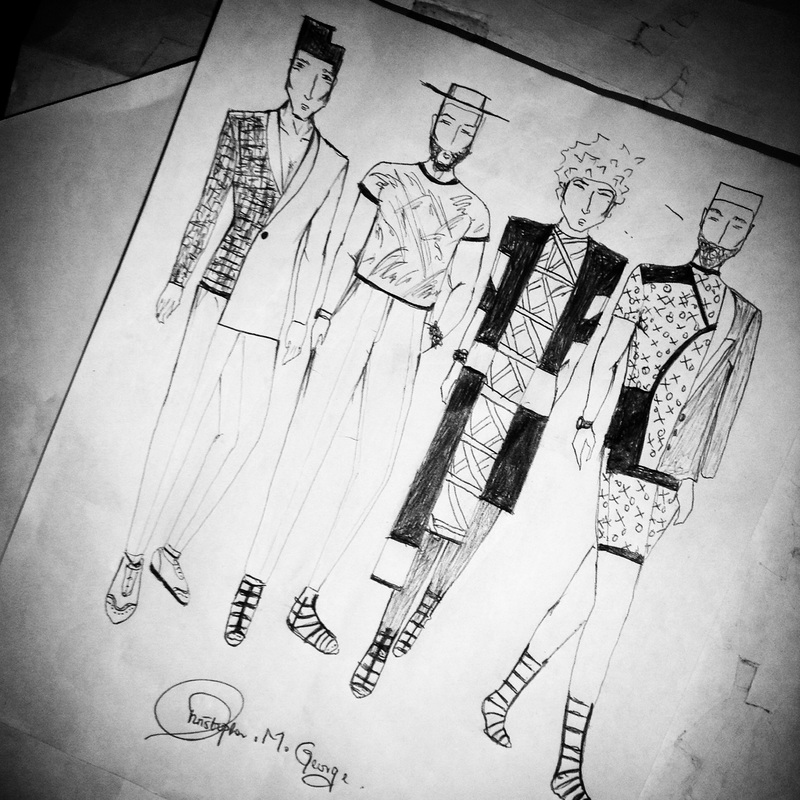 All These Nigerian designers are just too amazing and I look up to them. 5. What tools do you use? 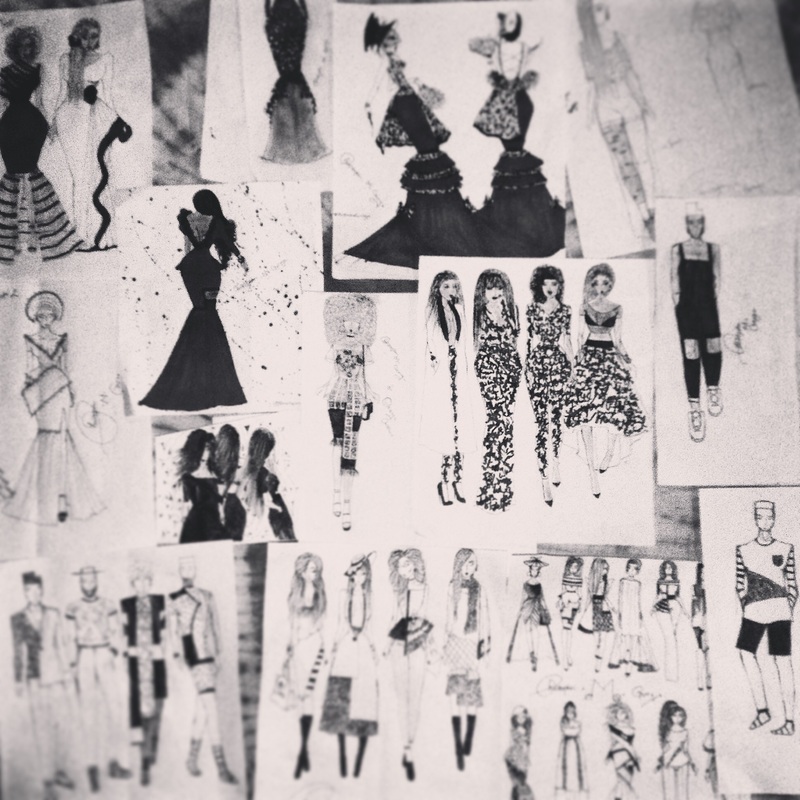 are there any must-haves for fashion illustrators? Yes there are basic tools a creative should have but i commuicate better with a black pen and a white sheet of paper. When I’m with that , magic happens. But if I want to just splash some color I use markers, the Schneider maxx markers. 6. What inspires most of your drawings? Number one my mood then when I’m amongst happy conversations or gists, it just inspires me but ,majorly its when i remember that by every second I’m getting older and I don’t want to regret not maximizing my talent at this age. 7. 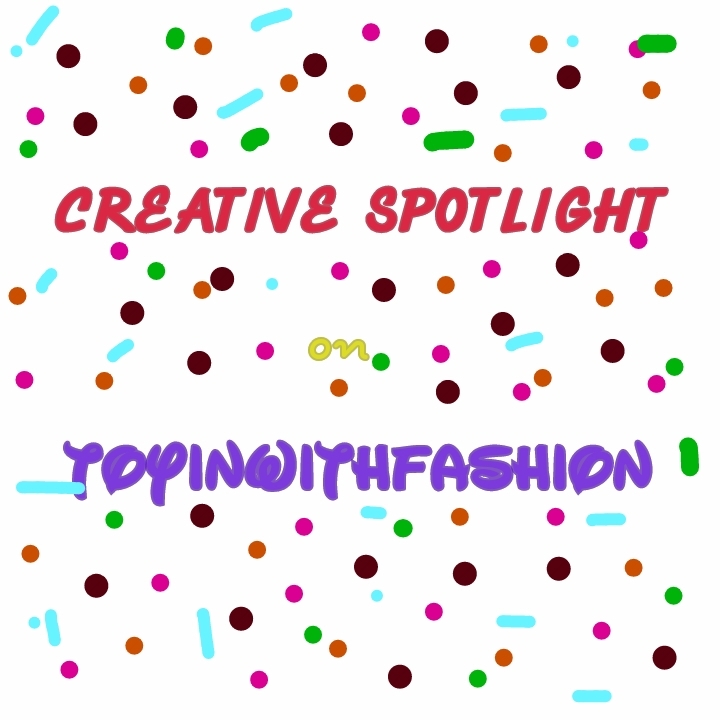 How do you balance being a student & Creative? I think this question should be how do I balance being a creative and a student because for me, the system in Nigeria is you must go to school and come out with a degree in one so called glorified course, but we fail to remember that if we all become lawyers and doctors , more people will be graduating to join the other people who have graduated and joined the other people who are unemployed, so for me balancing has to do with how equal things are , I see both school and my art as equally important so when one is more demanding than the other I face it squarely. 8. Have you had to do any major illustrations that caught the media? 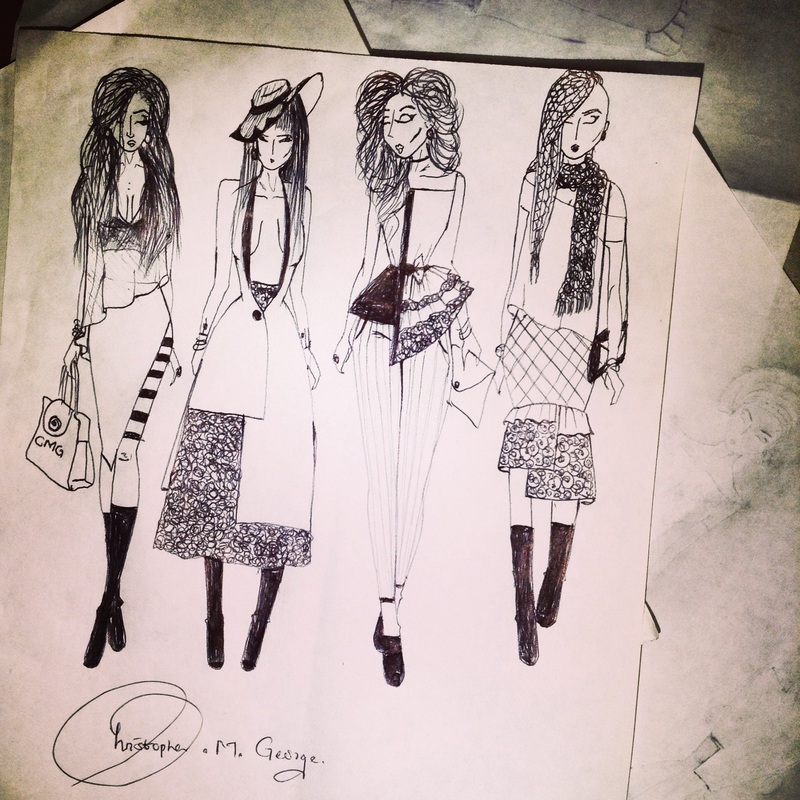 Christopher M. George offers creative consulting for fashion designers during their pre collection period. We provide services like illustrations and artistic directing. Also working on adding post collection services like PR and patnering with fashion blogs. 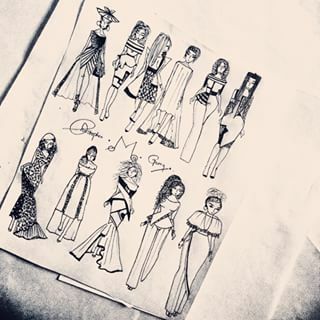 I have a soft spot for fashion illustrators. Hehe. 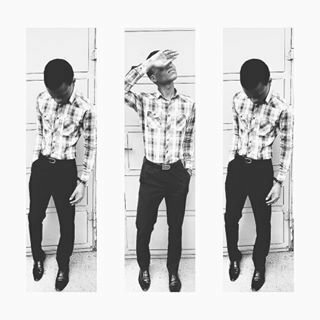 He sha used style and didn’t show his face. Me too! Lol please tell him to take more pictures! Love these illustrations. So good omg!! Great talent man, I love when I see young people doing great things and basically having sense. The I wish I was 20yrs younger part hit me and I definitely don’t want to be caught saying that. Lemme go and stalk his IG now.